Social Media has always been a platform for circulating funny as well as realistic videos that capture much attention from the audience. A video that made its way to the social media has been receiving bombarding response from the viewers. This video has been captured somewhere near the rural part of Australia. A man after realising that his dog has been attacked by a massive creature ran to rescue him. What followed next is funny as well as heart touching. 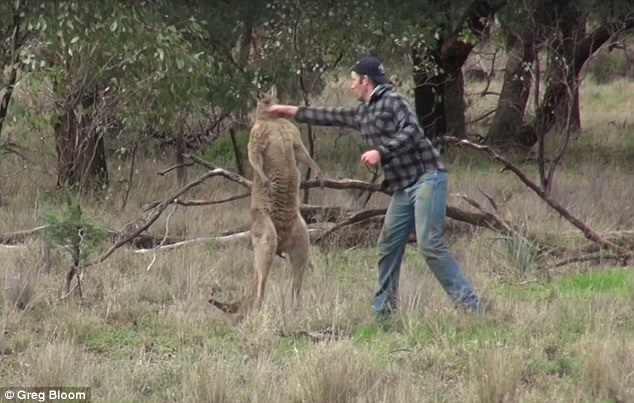 The man had to undergo a fight with the enormous kangaroo and in the course of this, he punched the creature in his face. This clash lasted from few minutes where the determination of the man to protect the victim dog was quite evident. Every person doesn’t share such deep bond with their pets. And this man proved to be one of the exceptions. The kangaroo held the dog by the neck and was unable to free himself from the grip, the dog got accustomed to some serious injuries. After acknowledging the pain of the dog, this man ran to save his dog ‘Max’ and a friend captured this video from a safe distance while he was sitting in a car. The video shows the group heading forward in a white truck when the man calls out for his dog to come back to the truck. When the dog didn’t seem to strike back, this man gets anxious and starts to worry about his pet. The truck stops then and the man runs towards his pet to save him from the attack of the kangaroo. 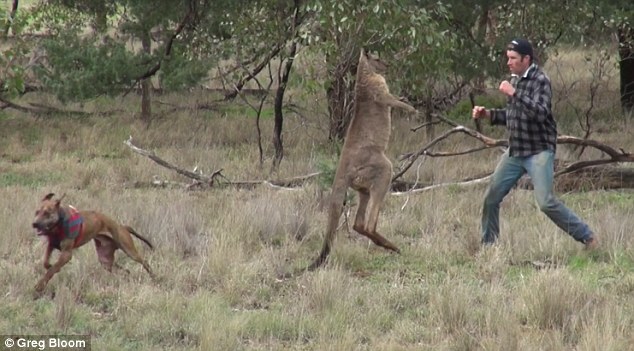 The kangaroo gets distracted on seeing the man and probably leaves the dog, regarding the man as his next target. 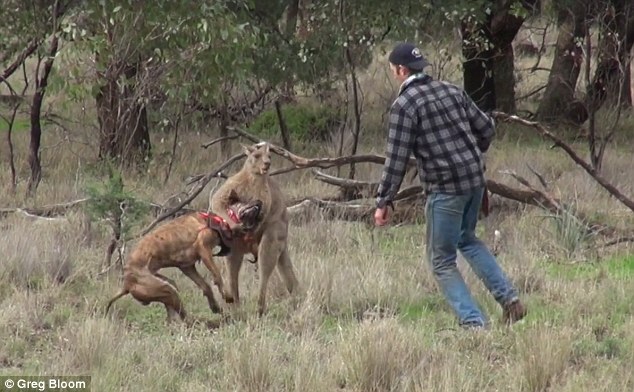 As soon as the kangaroo turns to the man, the dog runs to the truck and the man does the same after punching the kangaroo, leaving him confused for few seconds. The men who narrated the story analyzed the danger that his friend dealt with to rescue his pet. The video has received approximately 2.5 million views after being shared on Facebook on Sunday. Here is the video for you!